There are times when only the very best, top of the line gift will do for business associates, close friends, or beloved relatives. A gift of the set shows you set the highest standards for your relationship. 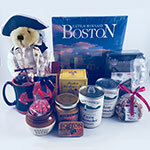 This exclusive gift set is a wonderful way to acknowledge those special people who have contributed to your success. Extraordinary Boston by Steve Dunwell. Hardcover book with 128 pages of color photographs, including spectacular views of Boston's well-known sites as well as many other undiscovered, but beautiful Boston locations. Each Beacon Hill VIP gift set is attractively packaged in a white gift box with handle, which is delicately packed in a shipping carton. 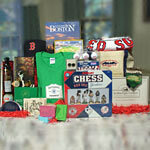 Specify a gift message at checkout and we will include a gift card at no charge. Optional gift wrapping is available.